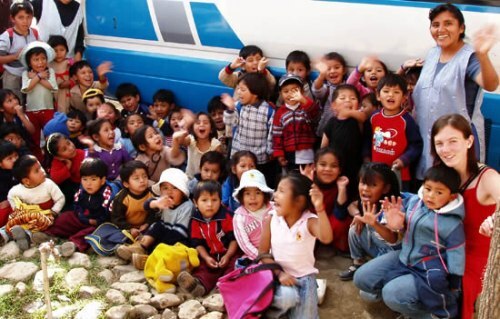 In addition to its volunteer programs, Volunteer Bolivia also runs a Spanish immersion school. Learn Spanish in Cochabamba and complete your experience. Contact Volunteer Bolivia for information and pricing using the secure contact form below. Volunteer Bolivia, located in Cochabamba, offers one of the best international volunteer programs in Latin America. Volunteer Bolivia will match your skills and interests to local needs in order to provide you with an unforgettable cross cultural experience. •	offered in a variety of social and community organizations. To complement your volunteer experience, we offer the option of living with a family during your time in Bolivia. Our homestay program offers a great opportunity to practice your newly learned Spanish. Accommodations include your own room and 3 meals a day. We have an in-house Spanish school because we believe that Spanish lessons are your key to getting to know the country and essential to having a successful volunteer experience.